Before I go on, I do want to say that I realise how lucky I am to be able to travel – especially on overseas adventures to the other side of the world. 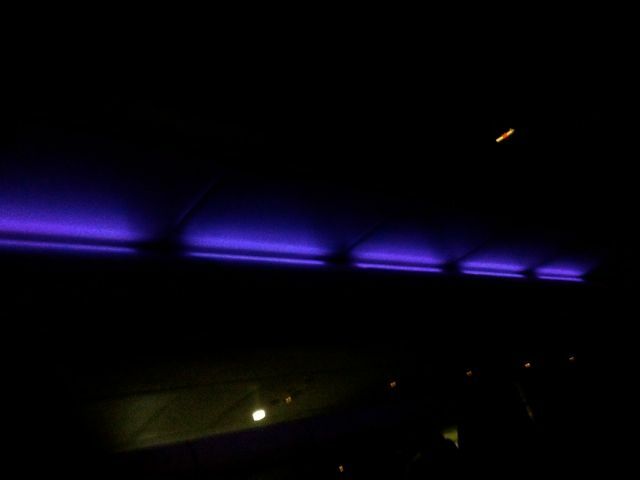 So, any criticism that I make of plane travel is in that context – a lighthearted whinge, not a serious complaint or gripe about the sad state of my world. Just so we’re clear. 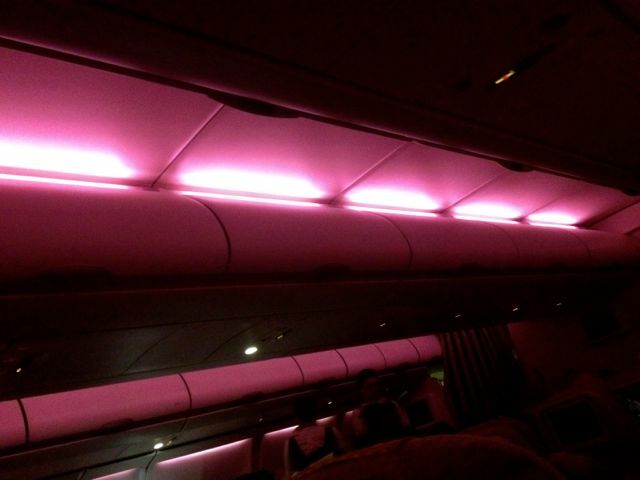 Now that I’ve got that off my chest, my first travellin’ post is about the craziness of long haul flights. I think I’ve mentioned before that on the height scale, I’m closer to ‘pixie’ than I am to ‘giant’, but even so, I find myself tucked into crazy yoga positions as I try to fit in my seat – the one that is to be my chair, bed, cinema, restaurant (and everything else) – for the first leg of my trip: the 14 hour flight from Sydney to Abu Dhabi. At least my neighbour was lovely and just the right amount of chatty. A German chap who’d lived in Sydney for six years, he warned me early in our conversation that he had a strange eye condition as he had been hit at close range with a tennis ball a few days ago and now had a medically-induced dilated pupil to ensure that his eye didn’t explode. We joked about the inconvenience of an exploding eye while flying, but luckily he survived the flight with both eyes in order. Although I did panic when I heard a loud hissing noise – turned out he was just deflating his neck pillow. Phew. 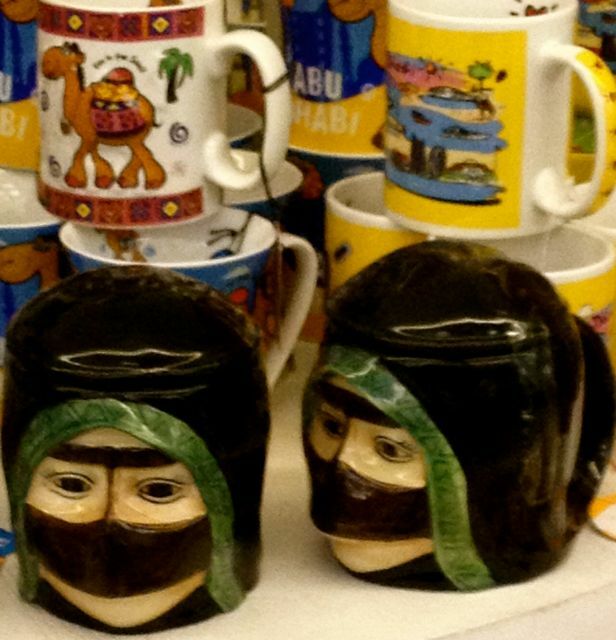 And to finish that first leg of the journey, here are some mugs that I noticed in a shop at the airport in Abu Dhabi, where I had a few hours between flights. Just because in my confused state, I thought these were pretty amazing. 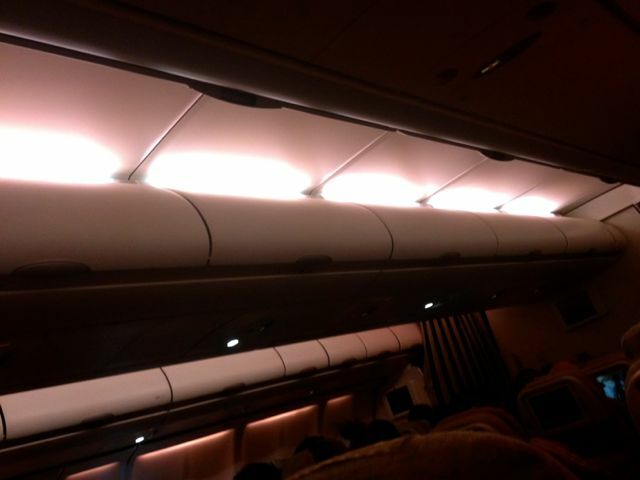 Thanks, BCD – I’m hoping for another medical marvel neighbour on the flight home! 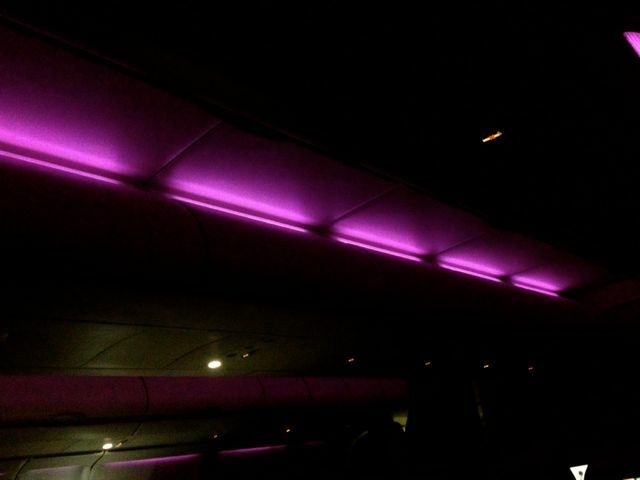 I am SO GLAD you had a lovely seat neighbour – such a lottery! We’re flying via Abu Dhabi next week – so, also very happy to have received your report! 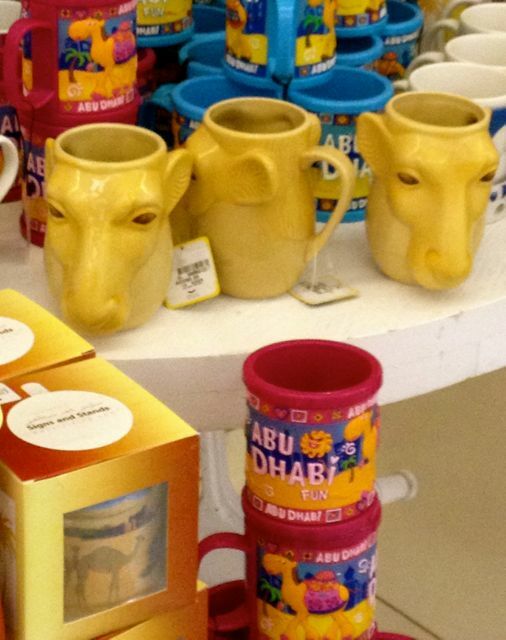 Thanks TSL – am sure you’ll love the mugs and other wacky sites in Abu Dhabi airport too!